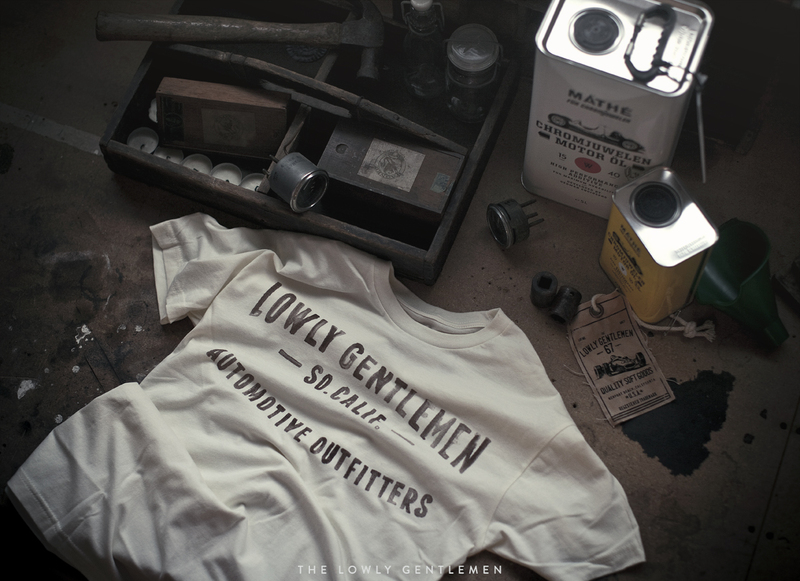 With the new Lowly Gentlemen Studio constructed and the StanceWorks garage organized, it was time to begin the latest line of T-Shirts. 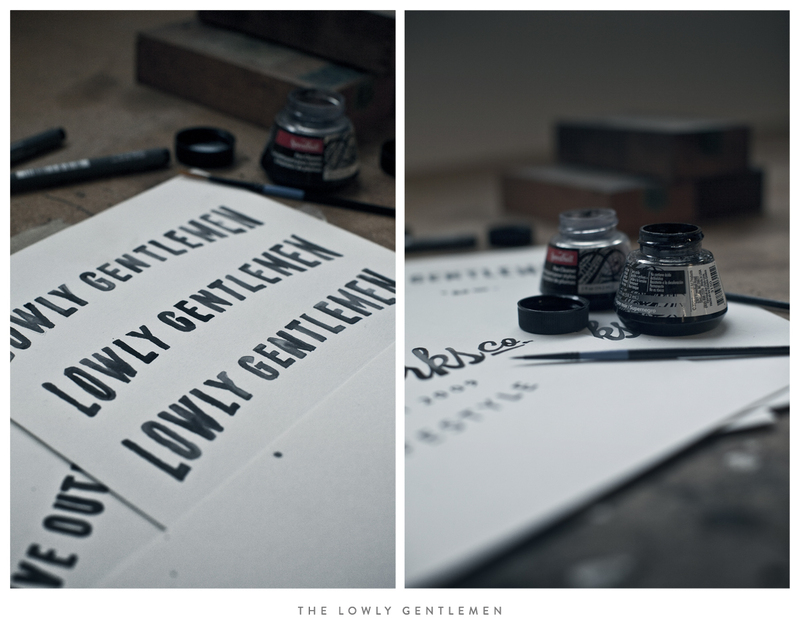 As I sat down at my desk, I decided to turn to ink and paper rather than the usual vectors and mouse-clicks that had become so common in my workload of graphic design. I found inspiration in the raw brush strokes that I noticed in many of the race numbers and liveries that decorated the paddocks of each historic race. So, with these vintage insignias in mind, I pushed aside the keyboard, revisited my brushes and pens, and returned to my fine art roots. Three new shirts have been added to the store, each with the markings of the hand-made nature of their design. 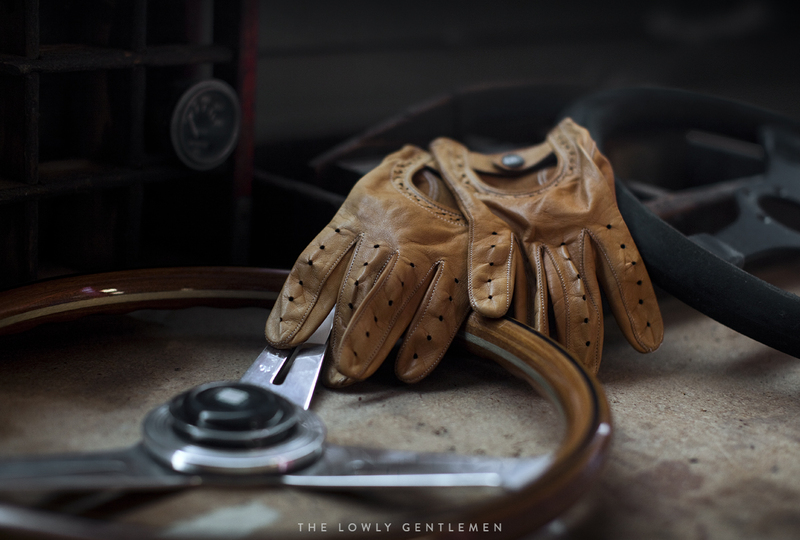 It's a line that I'm quite proud of, and along with newly restocked inventory and a new outerwear offering, it promises to be an exciting start for The Lowly Gentlemen as we enter into spring. 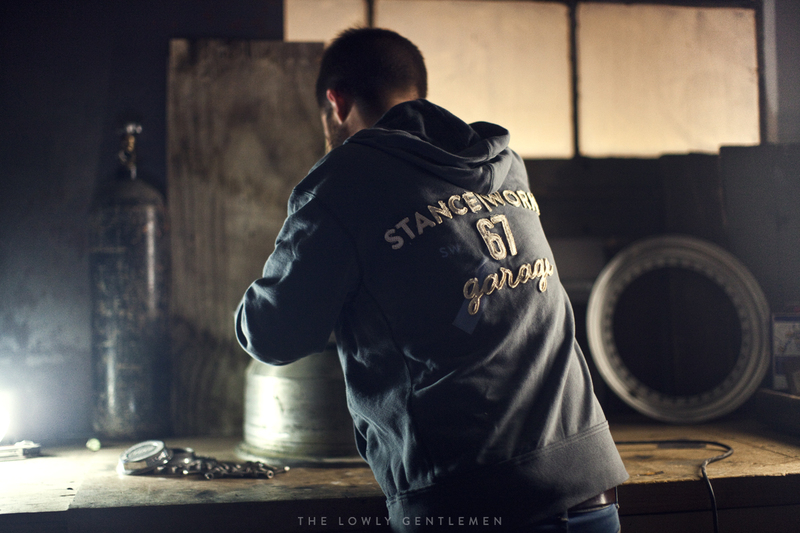 In addition to the new shirts comes the StanceWorks Garage Hooded Sweatshirt. Made from a high quality French Terry Cotton and constructed with a fine attention to details, the StanceWorks hoodie is a piece that we're very pleased to add to our collection. 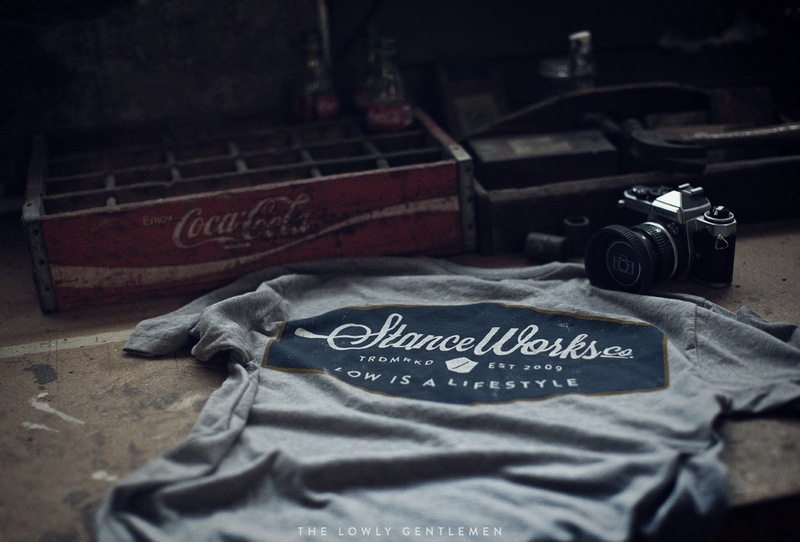 The StanceWorks logo has been embroidered on the back over a slikscreen print. We sought out to take our hooded sweatshirt beyond the simple prints that we had done in the past, and offer a quality option for those who were looking for an automotive sweatshirt in the cool spring months. Will they be accessible in europe? RuneAnkerNielsen Yes, we ship to Europe through the online store. Do you ship to Brazil also? GuilhermeAugusto3 Yes, we ship to Brazil as well. How can I buy, I am Brazilian. .
Is the T-shirt of the 1st pic available to buy? I didn’t see it on the catalog.